HONIARA, SOLOMON ISLANDS (22 April 2015): The Solomon Islands is leading the Pacific region in its successful reform of state-owned enterprises (SOEs), according to an Asian Development Bank (ADB) report presented in Honiara today. 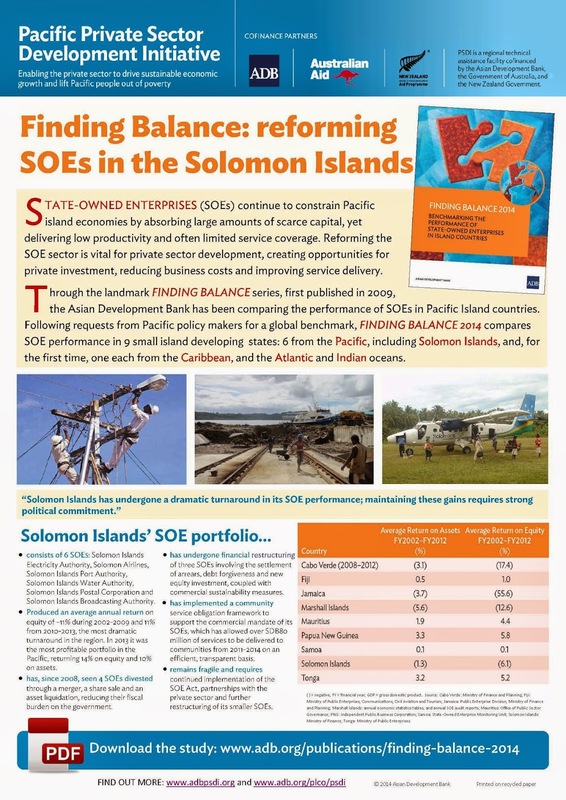 The report, Finding Balance 2014: Benchmarking the Performance of State Owned Enterprises in Island Countries, shows that in the last 5 years the Government of the Solomon Islands has overseen a 21% turnaround in return on equity from SOEs, turning an average loss of 11% between 2002-2009 into an average return of 10% in 2010-2012. This improvement follows a program of increased privatization, public-private partnerships (PPPs), financial restructuring and efforts to place SOEs on a sound commercial footing. Finding Balance 2014 identifies strategies to guide reforms of SOEs, highlighting the importance of finding the right balance between public and private sector roles. It is the fourth in the Finding Balance series produced by the Pacific Private Sector Development Initiative (PSDI), a regional technical assistance facility co-financed by the Government of Australia, the New Zealand Government, and ADB. 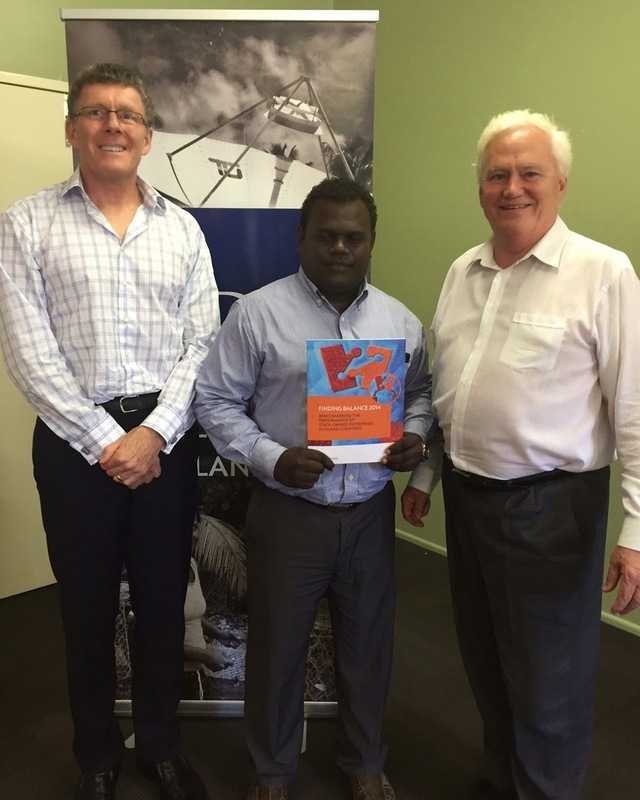 The report’s findings and recommendations topped the agenda at today’s Solomon Islands State Owned Enterprise Forum, hosted by PSDI. The event, which was opened by the Permanent Secretary of the Ministry of Finance and Treasury and attended by senior representatives from both SOEs and the private sector, also heard about experiences in SOE reform in other island economies. at the Solomon Islands State Owned Enterprise Forum. As the report documents, SOEs continue to exert a significant drain on the economies of the Pacific region. Analysis of SOE performance across nine countries, including six from the Pacific—Fiji, the Marshall Islands, Papua New Guinea, Samoa, Solomon Islands, and Tonga—shows that while some countries have been able to make great gains, others have struggled to enact reform. 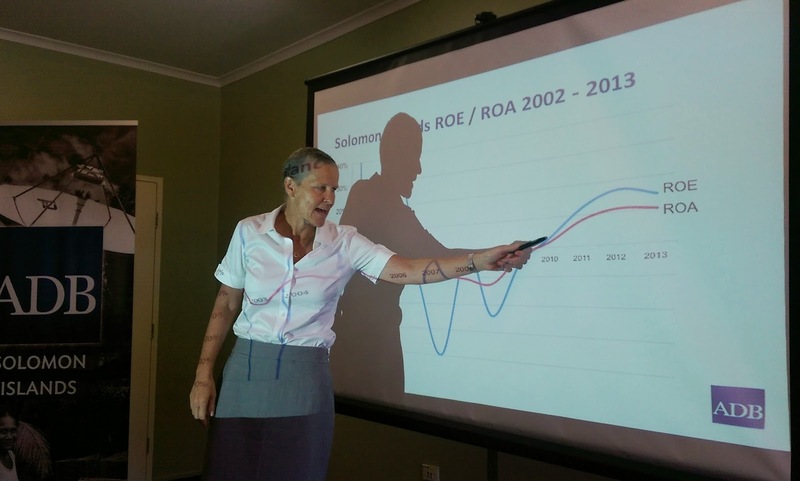 The turnaround in the Solomon Islands has made its SOE portfolio the most profitable in the Pacific in 2010-2012. The ADB has supported a number of the reforms that have contributed to this, including the privatizations of Sasape Marina, Home Finance Limited and Solomon Island Printers, and the implementation of a community service obligation framework as required by the SOE Act of 2007. PSDI is working with ADB's 14 Pacific developing member countries to improve the enabling environment for business and to support inclusive, private sector-led economic growth. - consists of 6 SOEs: Solomon Islands Electricity Authority, Solomon Airlines, Solomon Islands Port Authority, Solomon Islands Water Authority, Solomon Islands Postal Corporation and Solomon Islands Broadcasting Authority. - produced an average annual return on equity of –11% during 2002-2009 and 11% from 2010-2013, the most dramatic turnaround in the region. In 2013 it was the most profitable portfolio in the Pacific, returning 14% on equity and 10% on assets. - has, since 2008, seen 4 SOEs divested through a merger, a share sale and an asset liquidation, reducing their fiscal burden on the government. - has undergone financial restructuring of three SOEs involving the settlement of arrears, debt forgiveness and new equity investment, coupled with commercial sustainability measures. - has implemented a community service obligation framework to support the commercial mandate of its SOEs, which has allowed over SDB80 million of services to be delivered to communities from 2011-2014 on an efficient, transparent basis. - remains fragile and requires continued implementation of the SOE Act, partnerships with the private sector and further restructuring of its smaller SOEs.